For some reason, everyone I been telling how much I paid for the flight, gets surprised and asked me how I was able to get it “so cheap”. What is my “secret”? Google Flights and Sky Scanner. Also, but to a less extent, Scott’s Cheap Flights. The way I did it for Japan or any other trip I plan is to first check on Google the cheapest destinations for the time I want/can go. After that, I make a lot of alerts on Sky Scanner, not just one but for several destinations at different dates. One more thing that I do on Skyscanner is to change my location from Portugal to the UK. I still don’t understand how it works but the same flight costs less if I do it. If you do it try changing several times until you get even cheaper flights. In the end, I was able to book a roundtrip for 550€ and after I booked, it got even cheaper. It got as low as 480€ but I had to book it when I did. After some research and talking with friends that were in Japan previously the best way to move around in Japan is by train. Buses and booking flights are options as well. The reason the train is the better option is that it is the more comfortable, faster and less troublesome. If you want to save some money for sure the buses are the best option but they take too long. By train, the longest for me was four hours. Are the train tickets expensive? Yes. Is the best option to save money the JRPass? Yes. I can’t compare with other means of transportation but I heard one traveler saying he was trying to go from A to B and he couldn’t figure out how to do it because he didn’t have the Pass so he couldn’t reserve a train and it would take him a full day by bus. The main reasons you want to get a JRPass are: First, the tickets will be more expensive if you buy them individually and having the pass, will allow you to travel as much as you want for the time period you selected. Second, again, by Bus, it takes a long time and if you are like me, avoid the hassle in the airports. 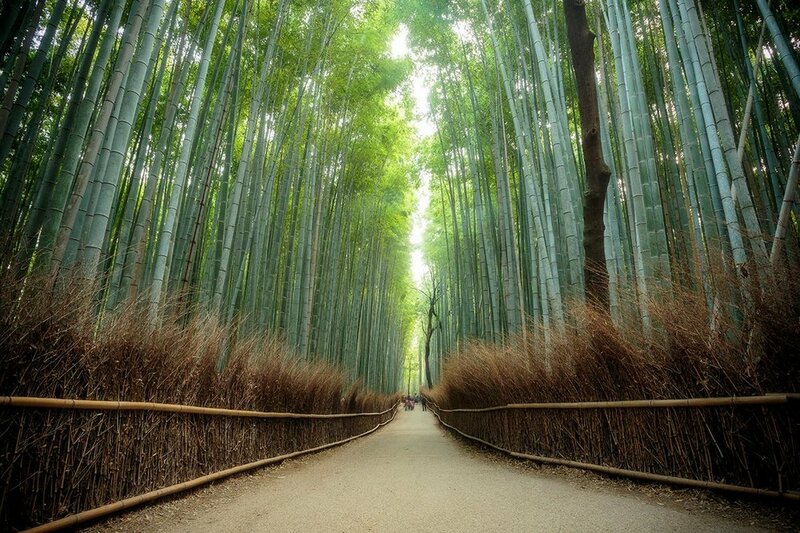 Here is my path through Japan for the 14-day pass and check out the fare calculator for planning your trip. This is how much i save compared with the individual tickets. Yes, i did have to use the bus in the end but it was from Mishima to Kawaguchiko and from there back to Tokyo which was around 2 hours each trip. I heard a girl in a train station saying that she can lose everything besides her passport and the JRPass. 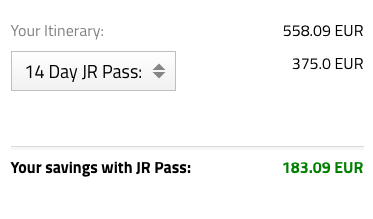 I can’t recommend the JRPass enough. Once I order it, it took one week to be delivered. You will get a voucher which you have to exchange once you arrive in Japan. To be done with it, I did it right away it the airport. Once you have the pass, all you have to do is to choose the day, time and destination where you want to go and go to a train station and reserve your seat. I am not 100% sure but there is the option without reservation. I did choose to reserve because it was suggested I did it. Even then one of the trains I wanted to go was fully booked so, do it at least two days in advance just to be on the safe side. After that just enjoy the ride. The second thing I did when I arrived in Japan was to get my Pasmo Card. This is probably the third most important thing you will need to get around, eat and drink. What it is, is a pre-paid card that works almost everywhere in Japan. I paid all the subway rides with it, most of my food, drinks and a few extras. I still had to get some cash because being a fan of street food markets, I had to have cash and in some places, there are warnings saying, only cash. One problem that I had was that I could only withdraw 10000‎¥ which is around 80€. 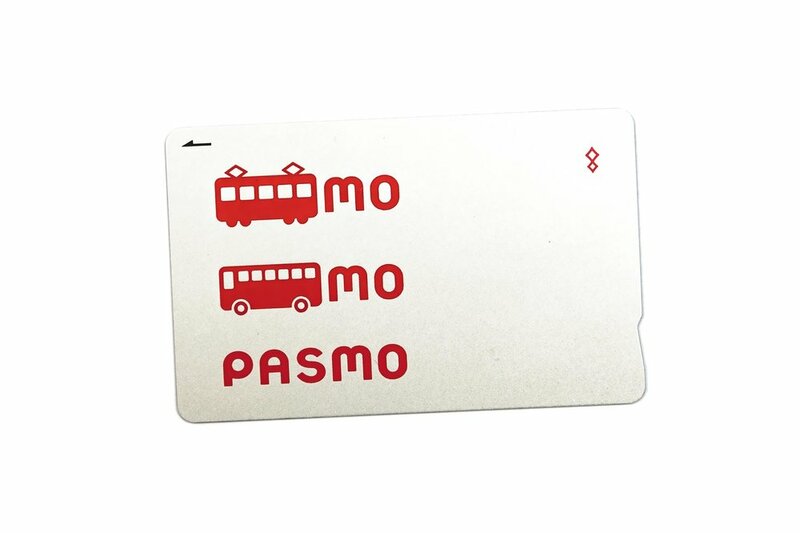 Most of the time I would recharge the Pasmo card with half, and use the other half for when I needed it. You can recharge the card on any Seven Eleven or The Family Mart or any other store that accepts it as a payment method. There was just one time I was able to withdraw less than 10000‎¥ but I don’t remember which bank was it. Up until this trip I always exchanged money but thanks to the Revolut Card I didn’t have to think about extra fees. It was the best “travel accessory” I ever got. Ok. there is a small fee from the ATMs but it was less than 1€ for each time. Highly recommended. Back to the Pasmo card. As well as the JRPass, I got mine on the Airport. There was a nice lady helping and explaining how to do it. Unless you are as jet lagged as I was, it will be very easy to get yours. By the end of your trip, if you wish to do so, you can cancel the card and get the money you have left. This was the point that surprised me the most. It is not as expensive as I thought to find good accommodation in Japan. I did stay in one hotel and one Airbnb which were a little more expensive but overall I found very good hostel deals via Booking website. On average, not counting the Airbnb, I was paying 25€ a night. If you ask me is very very good. And the hostels were comfortable and with a good vibe so it was worth it for sure. And in all of them, the staff polite as F***. No one comes close to them. ALL OF THEM. As for the Airbnb, more on that later. It was the best accommodation in Japan. If you follow me either here or on Instagram, you know my favorite places to eat are the street markets. Is not hard to find one in Japan. Also, there are dishes available on the Seven Eleven and other convenience stores. For sure the most affordable food. But for sure from time to time try a sushi restaurant or my favorite, Ramen. I am going, to be honest with you, I didn’t track how much I spent on food. I found it that depended on where I was going and what I was eating. I ate Ramen for 8€, Sushi for 16€ and 10 small pieces of Kobe Beef for 15€. These are the values that got stuck in my head. In the convenience stores, everything was more affordable. Next time i will be trying to make a small selection of a few places i enjoyed the most and i think you should go in Japan.